Using exclusively premium branded products from air conditioning giants including LG, Daikin, Mitsubishi Electric and Fujitsu, Glenfield Group can provide access to a vast product range that will suit your needs. Whether you need a domestic or commercial solution, Glenfield Group can provide everything from industrial units to the latest in disguised units, such as the ART Cool range from LG, that are perfect for the home. Please find below a brief sample of the products we can install for you. In addition to this, we can provide bespoke services to solve issues / provide solutions for a range of air conditioning systems. Air conditioning systems need not be intrusive or unattractive. The latest range of ART Cool products from LG provide everything from a slot-in front for you to display the artwork of your choice, a stylish mirrored front or an attractive LED-light. 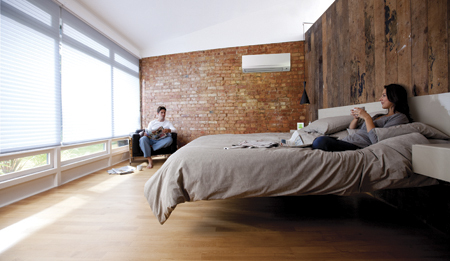 Wall–mounted units are also more discreet with sleek, minimal units available from Daikin. 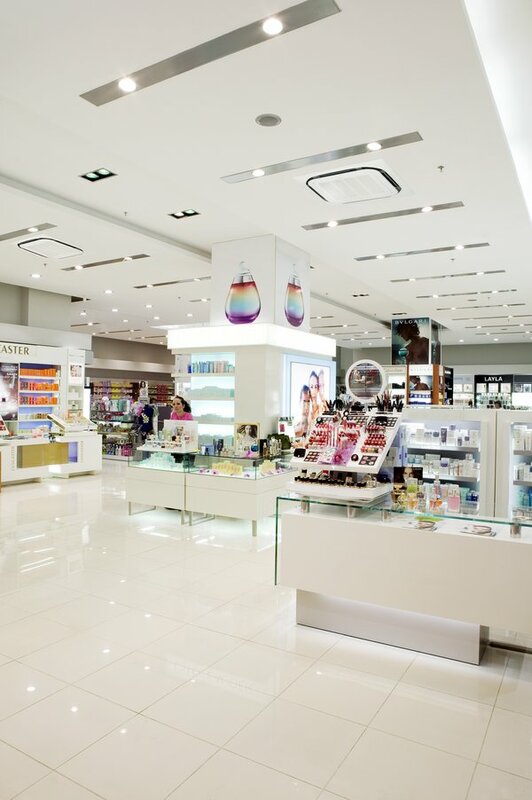 Providing solutions for a range of commercial applications from stylish retail outlets to industrial manufacturing premises, Glenfield Group can provide a huge array of products to meet your commercial needs. From discreet Concealed Ceiling Units for retail premises or small wall mounted units for offices, state-of-the-art air conditioning provides stylish yet economical solutions for your business. For larger premises, units that are predominantly external, maximising available space and keeping equipment hidden are available. Also, with the advent of new building regulations, greater awareness of increasing energy costs and a responsibility towards environmental issues, modern commercial spaces are insulated better than ever. Double glazing, thicker insulation and draught exclusion help considerably towards reducing heating/ cooling demand and burdens on the environment. The disadvantage of this efficiency is that these commercial spaces become, in effect, sealed boxes with little or no replenishment of the air. Daikin, in addition to the other brands we work with, offers a variety of solutions for the provision of fresh air ventilation to offices, hotels, stores and other commercial outlets. State-of-the-art technology that can be applied commercially or domestically, Heat Recovery Systems combine eco-awareness, economic efficiency with excellent cooling/ heat delivery. 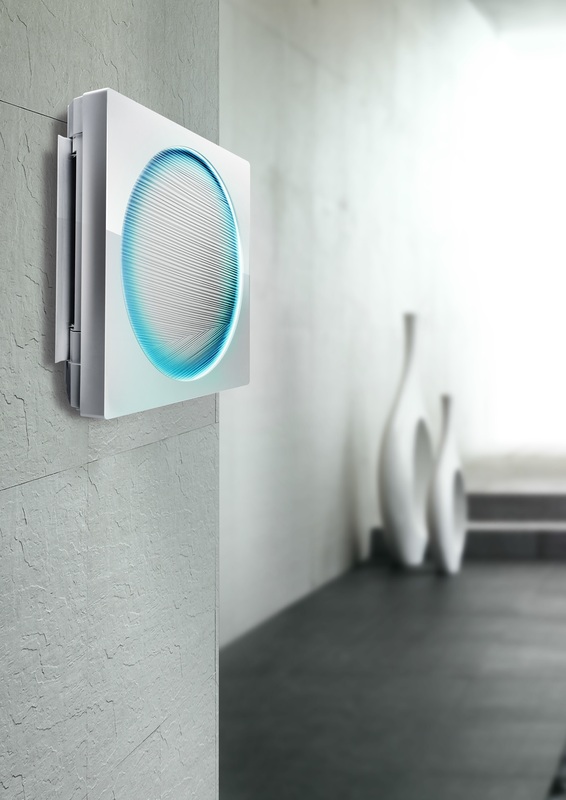 Using the temperature of the air outside and inside to provide the optimum temperature for your living environment, Heat Recovery Systems minimise energy consumption, therefore lowering bills and reducing any impact on the environment. 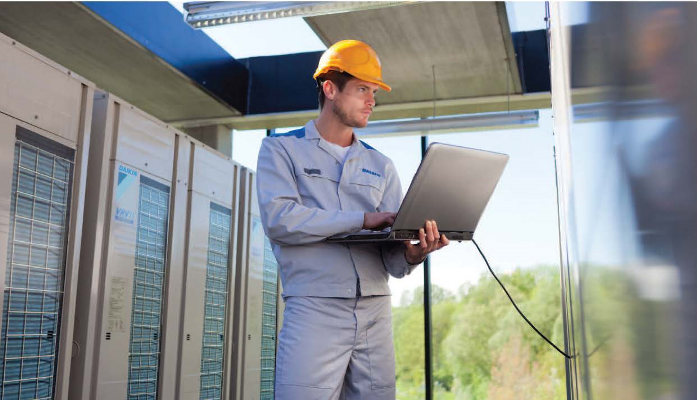 Proper ventilation is a key component of climate control in buildings, offices and shops. In its basic function, it ensures a flow of incoming fresh air and outgoing stale air. It can recover heat and optimise the balance between indoor and outdoor temperature and humidity, thus reducing the load on the system and increasing efficiency. Heating, ventilation and air conditioning, Variable Refrigerant Flow (VRF) technology does it all. Prioritising room comfort, reduced energy consumption and lower maintenance costs, state-of-the-art VRF systems are designed to exceed all expectations. Created in Japan in 1982 by technological pioneers Daikin, VRF was a world first, using variable refrigerant flow to control cooling and heating. Conditioned by a single outdoor condensing unit, the system circulates refrigerant within a building to multiple fan-coil units to create heat and coolness, providing an efficient alternative to traditional water-based systems. The variable flow of the refrigerant means the system is only required to work as needed and provides greater control over a building’s interior temperature, offering energy savings of up to 55% compared to other systems. Two system formats are available. The two pipe design keeps it simple, either cooling or heating all or required zones. Alternatively, those requiring a sophisticated system that can simultaneously heat and cool separate areas can use a Heat Recovery (HR) system, which is achieved through a three pipe design by extracting heat from areas that need to be cooled for use in areas requiring heat. Over 30 years since the innovative design was unveiled, the benefits of VRF systems continue to make it the most popular product on the market. With increased efficiency, greater flexibility and an improved compact design, VRF systems offer numerous benefits compared to more traditional heating, ventilation and air conditioning systems. 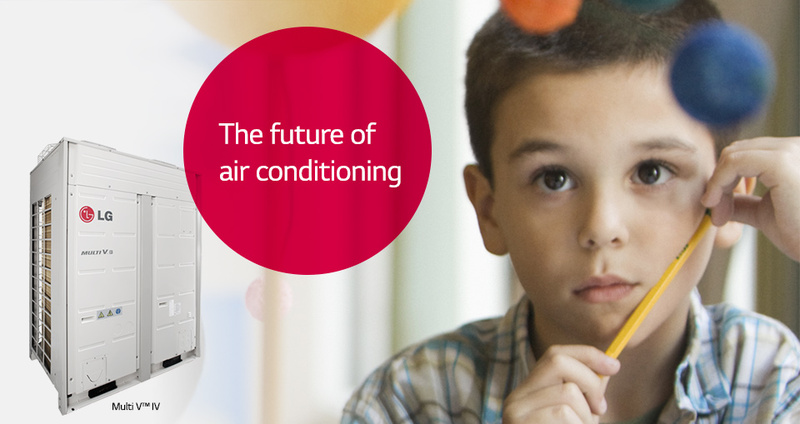 From offices to hotels, schools to shops, VRF provides improved thermal control of any building, allowing individuals to manipulate the temperature and provide optimal comfort.